If you have come here from Fill PDF Service, you may not be familiar with Drupal. The Fill PDF module is a module (plugin, add-on) for Drupal, so some Drupal knowledge (and a Drupal site) is needed to set it up. Drupal has a large community, a lot of documentation, a healthy blogging community that shares solutions to common (and many less common) problems, and even more solutions contained in the plugin support forums (module issue queues). 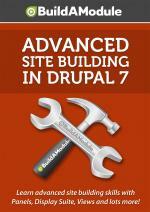 If you are still in a phase where you can choose the tool for your project, Drupal is worth consideration. We know the creator of the following video series personally and can attest for its quality. If you sign up through the banner, we will receive a commission from BuildAModule. BuildAModule pays this to us, and it has no effect on you.